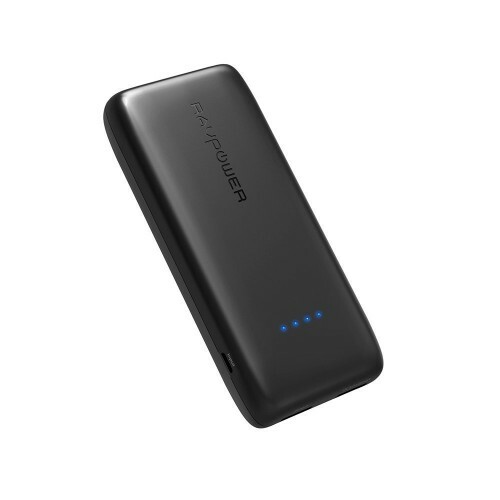 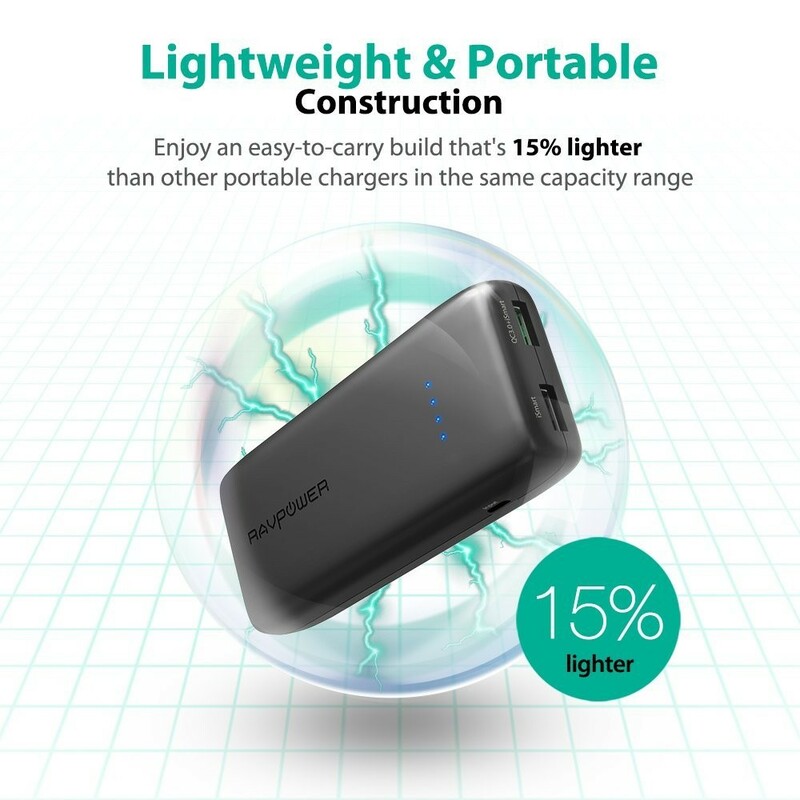 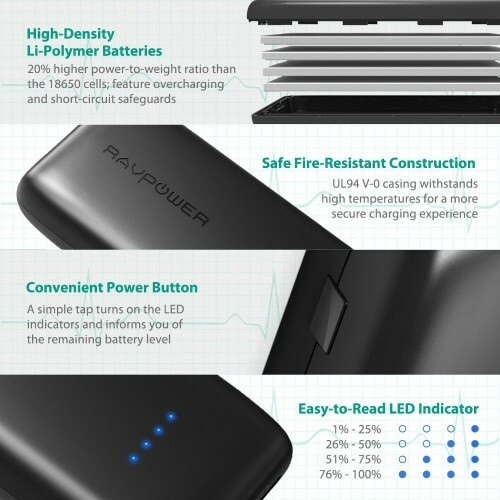 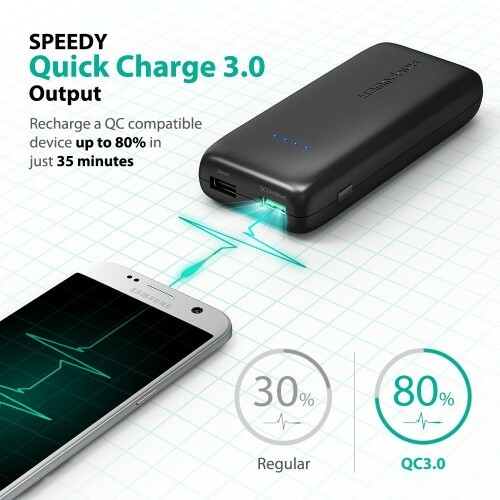 Speedy Quick Charge 3.0 Output: Recharge a QC compatible device up to 80% of its battery capacity in just 35 minutes, that’s 75% faster than a conventional charger. 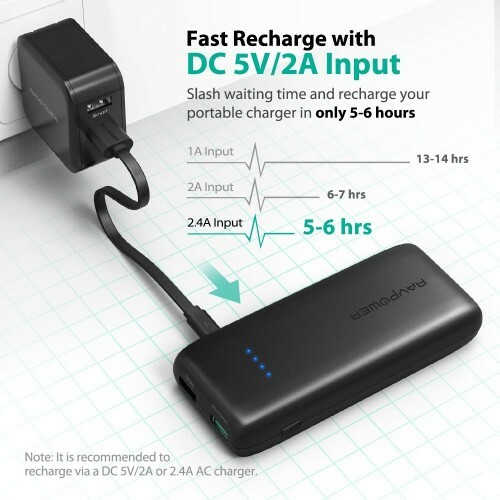 Fast Recharge with DC 5V/2A Input: Slash waiting time and recharge your portable charger in only 5-6 hours; built-in LED indicator conveniently shows the remaining battery level. 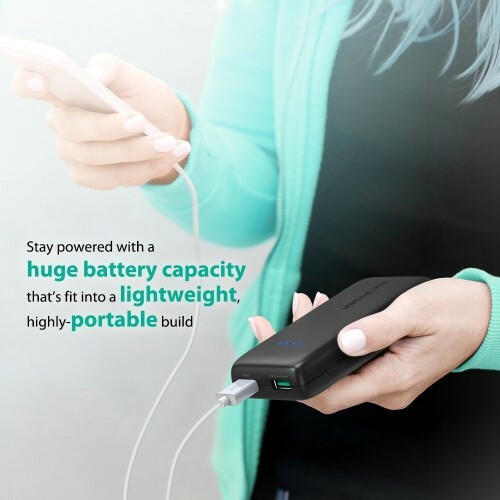 Note: It is recommended to recharge via a DC 5V/2A or 2.4A AC charger.